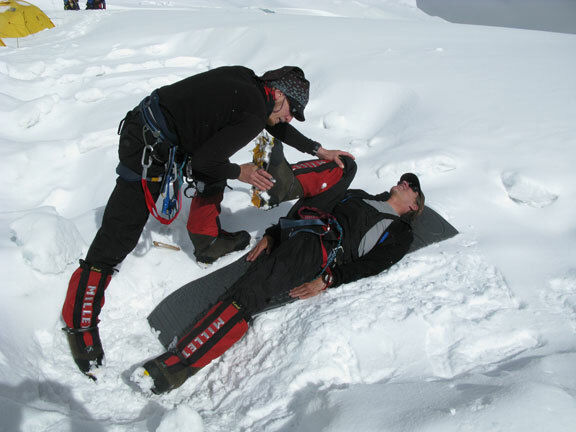 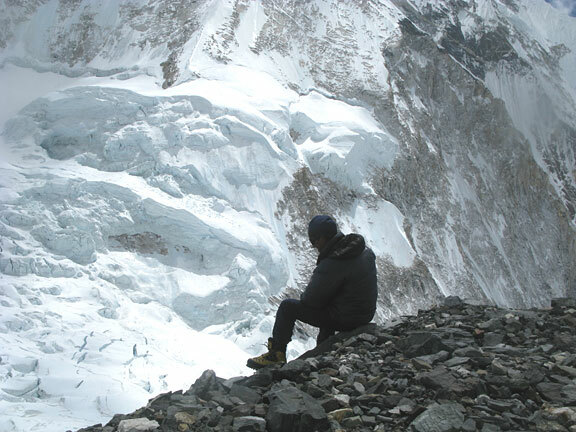 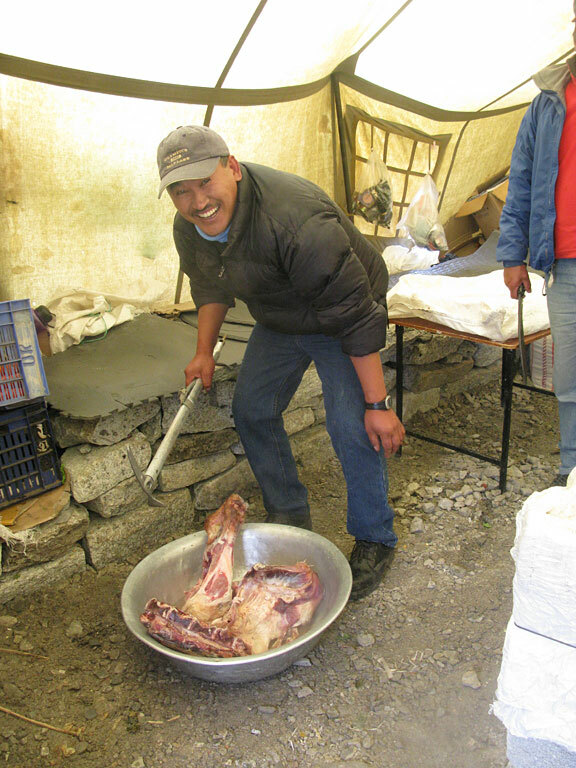 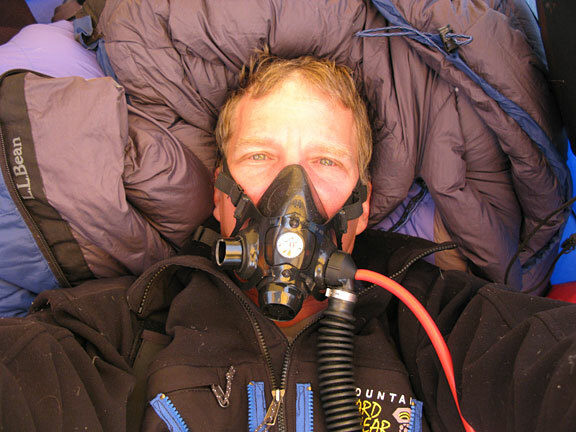 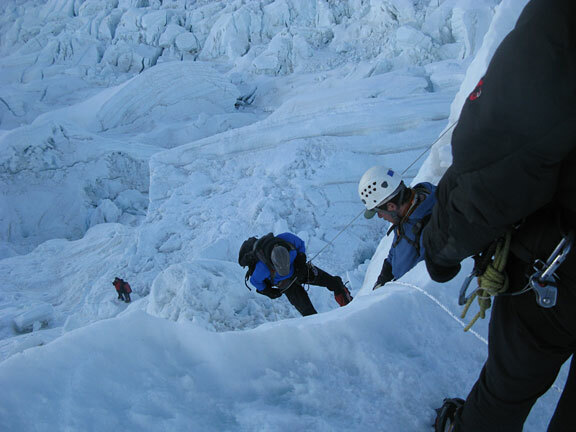 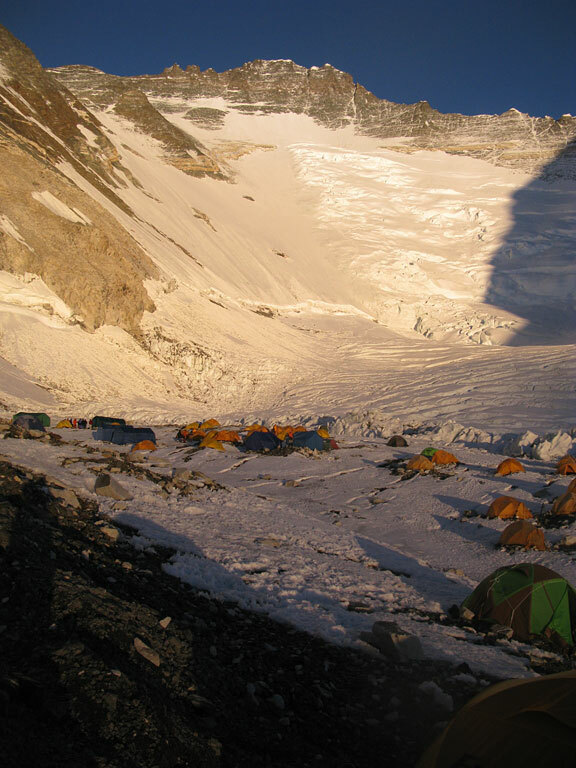 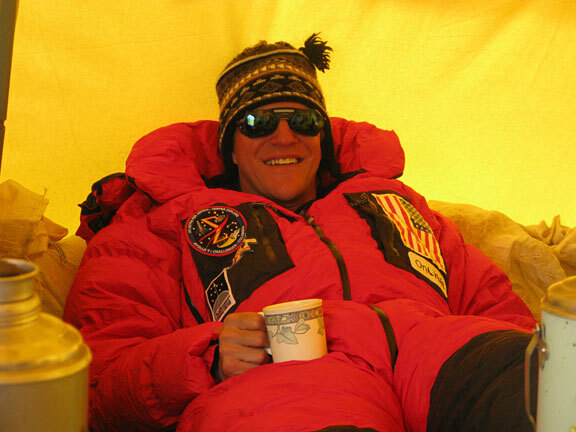 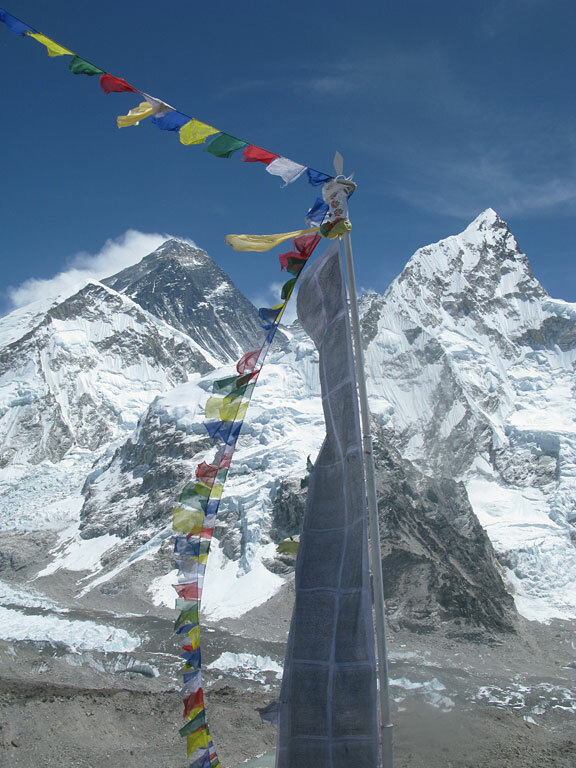 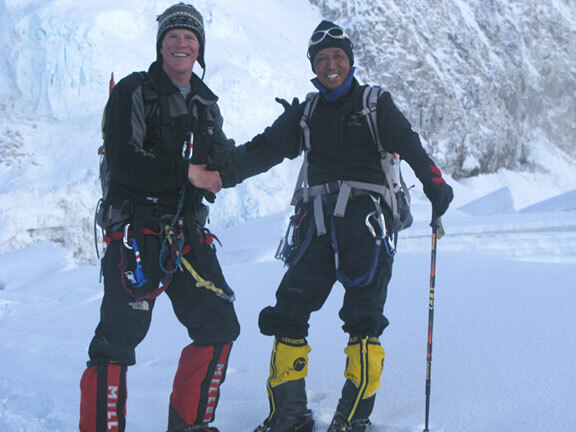 Image below: Scott meets Apa Sherpa in the Western Cwm; Apa has now summited Everest 18 times! 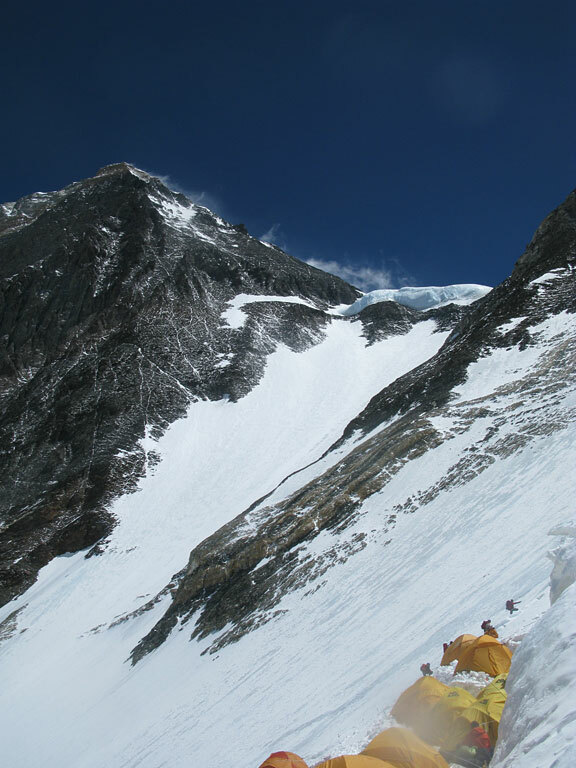 Image below: Bob Lowry stretching Scott out on the way down from CII to EBC; I wouldn't have made it down from CIII the day before without periodic stretching and icing my back every 20-30 minutes. 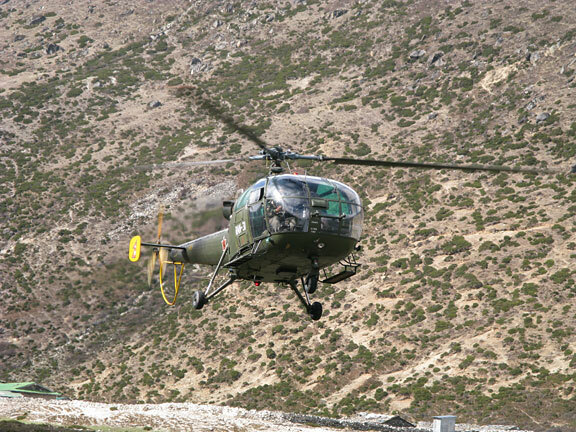 Image below: My E-ticket ride home: a French-built Cheetah helicopter, piloted by the Nepalese Air Force. 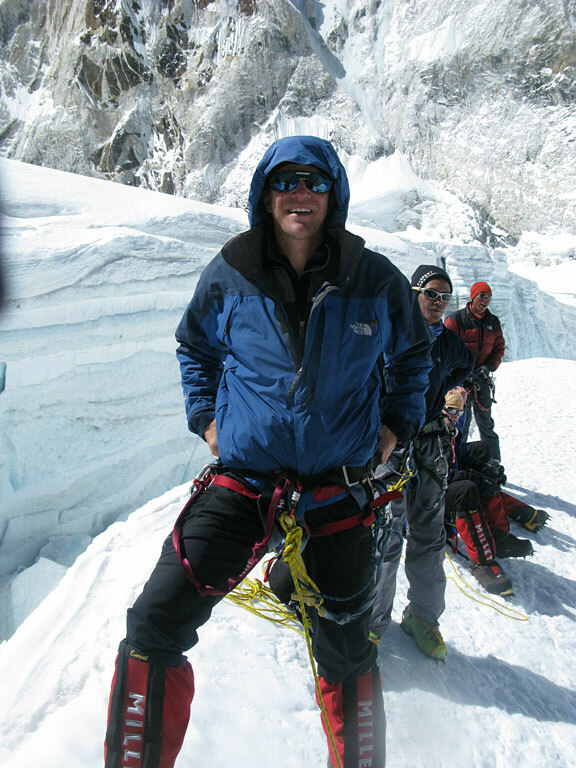 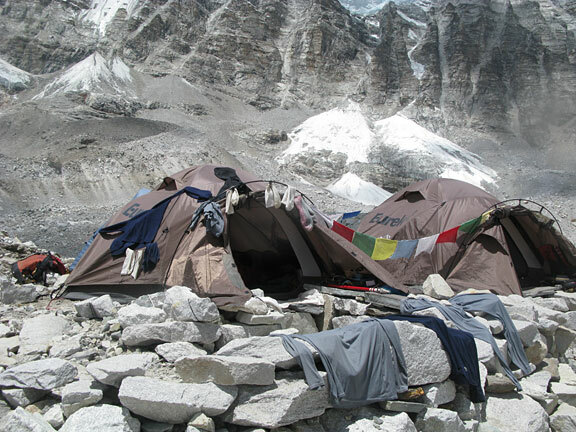 An hour and a half flight from the vicinity of EBC all the way to Katmandu, vice a 3-day, 36 mile trek!